John G. “Jack” Dimmick, 78, of Mahanoy City, passed away Wednesday, at Geisinger Medical Center, Danville, with his family by his side. Born in the former Locust Mountain Hospital, Shenandoah, March 11, 1940, he was a son of the late William and Florence Zincavage Dimmick. 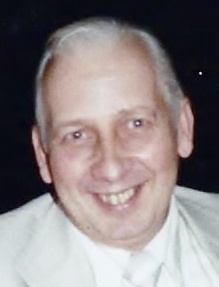 He was a graduate of the former West Mahanoy Township High School, class of 1957. He served in the U.S. Army as a Medic and was stationed in Korea. Jack was a devoted Husband, Father and Grandfather. He loved spending time with his family and was an avid Philadelphia Eagles fan. He also enjoyed the outdoors. He was a member of St. Theresa of Calcutta Catholic Church and the West End Fire company, both of Mahanoy City. He last worked in maintenance at the Mahanoy Area High School and previously worked as a machine operator for Eagle Shirt and was a supervisor for the former Alcoa Aluminum Plant, Cressona. In addition to his parents he was preceded in death by a brother George Dimmick. Jack is survived by his wife of 51 years, Ruth A. Norwich Dimmick, Mahanoy City; two sons; John “Jack” Dimmick and his wife Lynn, Gordon; and Chris Dimmick and his wife Tanya, Frackville; six grandchildren; Michael, Katherine, John, Matthew, Christopher and Sara. A Mass of Christian Burial will be celebrated at 10:00 a.m. Monday in St. Theresa of Calcutta Catholic Church, Mahanoy City, with Rev. Kevin P. Gallagher, as celebrant. Relatives and friends are invited to a visitation from 6 to 8 p.m. Sunday evening at the Albert L. Gricoski Funeral Home, Frackville. Interment will be at the convenience of the family in St. Joseph Cemetery, Mahanoy Township.